We are currently seeking new members both men and women of all standards to join our group. We can offer a friendly and enjoyable training atmosphere with like minded people who enjoy running and being fit and active. Our training sessions are designed by highly qualified coaches who have experience of working with athletes' from beginners to top level. 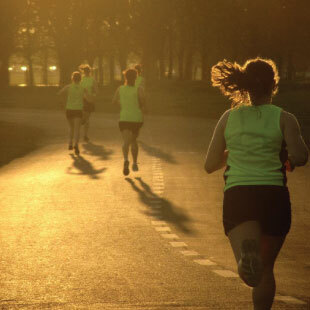 The training sessions are geared towards the different levels of fitness within the group and are designed to allow athletes to run to their potential on race day. We cater for all distances so whether you are training for cross country, track or road races including marathons we can help you achieve your goals. Showering facilities are available at our clubhouse in Islandbridge beside Memorial Gardens (see the map on our contact page). Why not come along to our Newcomers Nights on Tuesdays at 6.45 pm and find out more of what we have to offer.